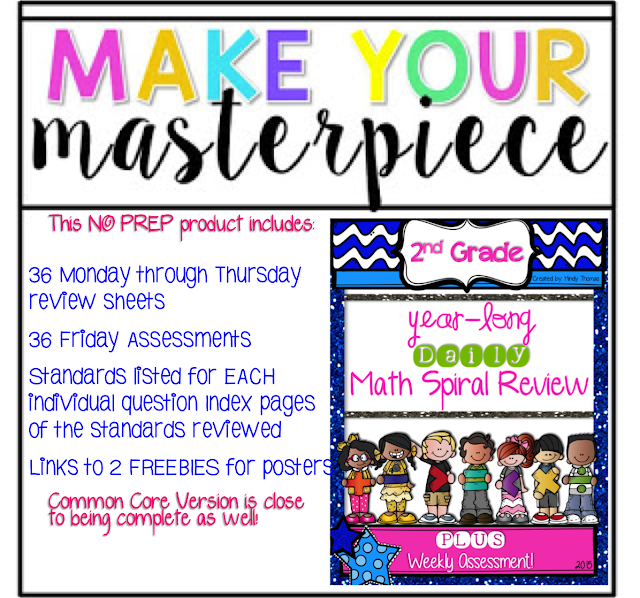 Last year, I began creating my OWN math spiral review each week for my grade level. 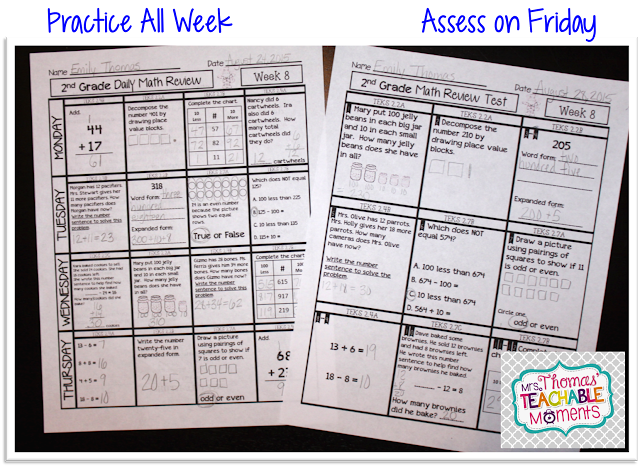 I wanted something that aligned with our standards in a rigorous way, and I wanted something quick and simple that I could use daily, as well assess somehow at the end of the week. Thus, my spiral review was born! I worked on it ALL year last year. We had used spiral reviews previously and they were never really what we needed. Our campus even purchased one last year for us - I looked at it and immediately found several instances where it wasn't actually aligned to our standards. This summer, I have gone back to the reviews I created during the year and completed the ones I managed not to save somehow, and then over-hauled it to make it as user-friendly as possible. 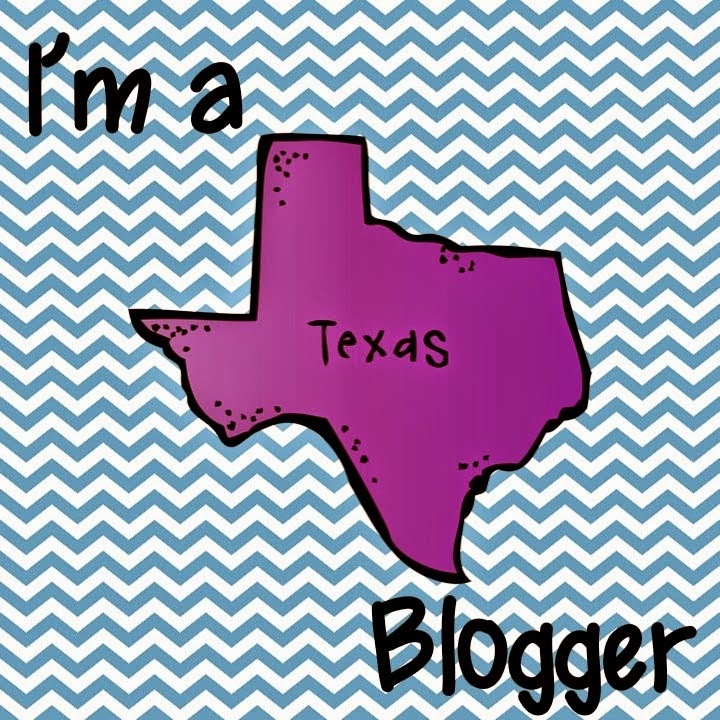 I made some changes to it, completed it, and have it ready for YOU! You can use this in a few ways with your students. I used it as morning work. So the kids came in and worked on it independently, and then during the first few minutes of my math block, we would quickly go over it. 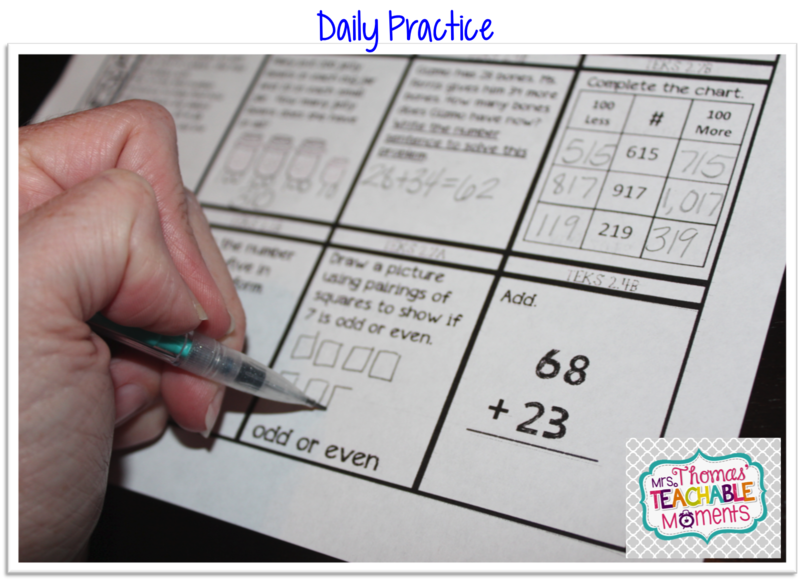 It can also be used as homework, as small group work, or put in a daily math center. For each week of the year, there are two sheets. 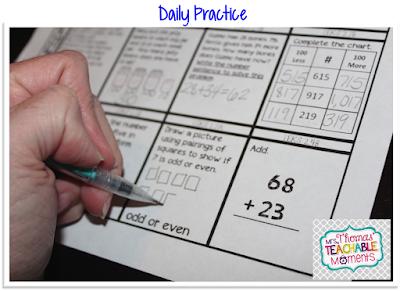 The first one is a Monday through Thursday practice sheet with 4 questions for each day. The second sheet is an assessment over the skills covered throughout the week. The questions are similar the ones asked during the week. As you can see, the questions asked during the week match the types of questions asked on Friday. This will give you good data on which skills students have mastered and which skills still need more work. 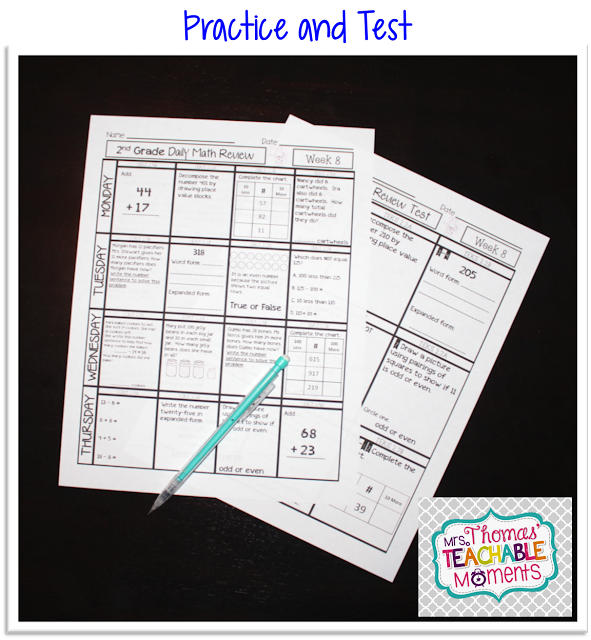 It can very easily be good information for you to use to drive your small group instruction. If you are interested in this, I have a 3 week FREEBIE of this product that you are welcome to download and try out by clicking HERE! If you like it, please purchase the full school year by clicking HERE! This looks wonderful! I wish I had it when I was teaching self-contained.